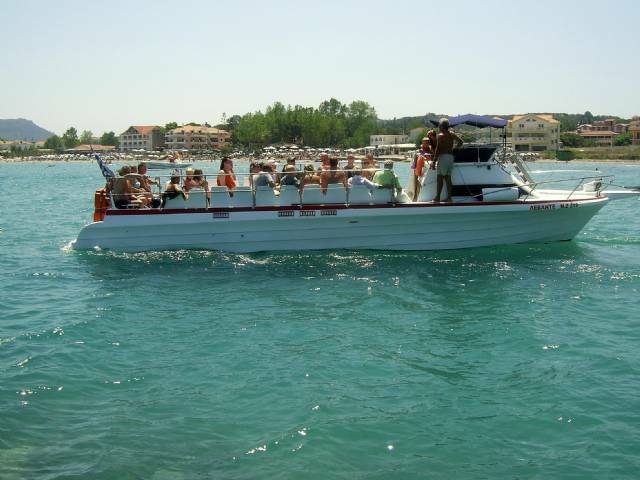 What can I say about captain spirros from Levante speedboats, He is very professional and runs very enjoyable trips out from Tsilivi harbour,been on all the normal run of the mill trips with other people and they just do not cut the mustard compaired to spirros. Myself and my daughter went out on the 28 th and the 30th july 2015 with capt spirros and had a brilliant time,he treats you like one of the family and lets the kids drive the boat,so thankyou very much captain spirros. This was a wonderful excursion and I would highly recommend. Captain Spiros and his crew are simply the best. This was a luxurious trip to the south of the island. We felt so happy and got so much pleasure from this. 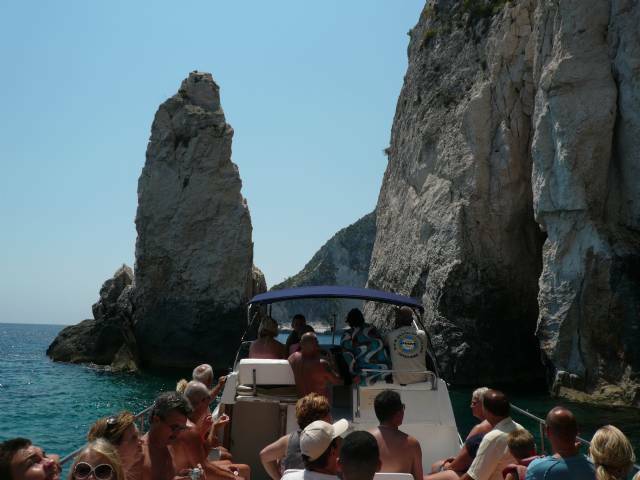 Just returned back from a great time with friends in Zante for two weeks the four of us went on the morning Speedboat Trip amazing experiance the Captian and Crew made it for us looked after all on the boat and gave us all a trip of a lifetime round the beautiful Coast of Zante. We enjoyed the trip so much the two of us went back during our 2nd week and did the afternoon trip again amazing time, if you go to Tsilivi you have to do this these trips fantastic. This was by far the BEST trip. If you want to go turtle spotting definitely go with Captain Spiros and his team. On this trip we saw 4 turtles and Captain Spiros even said that the other boats in Lagana bay had not seen any turtles for 4 HOURS. When we got back from our trip we spoke to another couple who did a turtle trip with another company and they did not see any turtles. On the way back to Tsilvi Captain Spiros says "you may get a little wet" basically what he does is he opens up the speedboat as fast as it will go and makes sure everyone gets wet. for those who say they don't get wet its cause they cover themselves with a towel. For all the families among you we had lots of young children on our trip and he made sure that they were safe. The other brilliant thing for children is that he lets the children drives the boat. If you want to I would highly recommend sitting at the front of the boat you get the best views of the island and great views to see the turtles. Visited Tsilivi in August 14. We did both boat trips Levante have on offer and wouldn't hesitate to recommend either one! 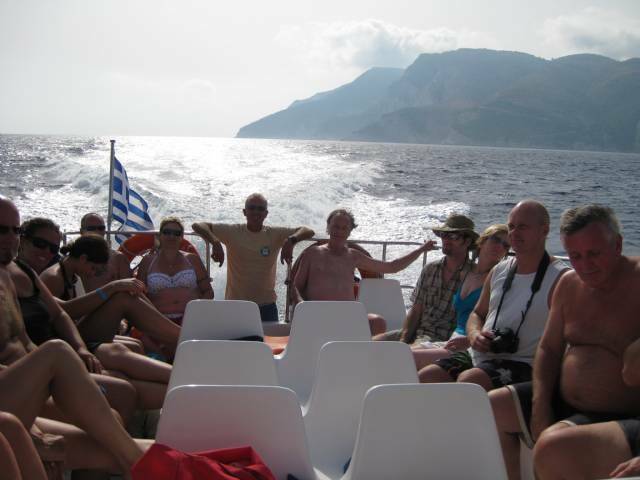 There are 30 odd seats on the boat and thats the number of people that get booked on, none of the ridiculous overcrowding that we have experienced on previous trips.Captain Spiros is extremely knowledgeable about the coastline and is very experienced in the way he handles his boat. We sat up at the front and it was a fabulous experience!! On the turtle trip he and his crew had no problem finding a turtle and manipulating the boat for the 20 odd minutes it took for the turtle to surface. We saw some fabulous scenery and experienced some wonderful beaches on both trips. For the shipwreck trip he promises to get you there before anyone else and he does, before the crowds descend and its impossible to get photos without a bunch of strangers in them! He will also stop the boat at various points just to point something out or for a good photo opportunity. We booked with the wonderful Sue and Adelies on the main strip (next to Obelisk Restaurant) but i believe there are a couple of other places as well. Just beware of other trip organisers trying to fob you off saying their trip is with Captain Spiros, its not! The only way to book is via the offiical Levante guys, you will know them either from the signage outside the shop or the beige t shirts with the Levante logo.Levante do cost more than the other trips but we all save hard for our holidays and its worth putting our money to the best use possible rather than wasting it on a trip thats not enjoyable, been there, done that and have learnt over the years! Second time out with Captain Spiros we done the ship wreck last year which was fantastic and this year we did the turtles and caves in the afternoon. Once again not disappointed thorough enjoyable afternoon for myself, wife and 7 year old son Joel who once again drove the speed boat. Captain Spiros ensured everyone got to spot the turtles and when we went the turtle island he was telling others (not from our boat) to keep off the protected area as they were trampling all over the nesting area and then he went round collecting everyones rubbish (not just from our boat). He is truly a passionate man about is profession and the conservation of the turtles and the for the island. We will be doing it all again next year. Absolutely incredible! Met at Tsilivi harbour at 1.15, where we were greeted by Captain Spiros and his team who were very welcoming and helpful in getting everybody on board and settled, explaining clearly the basic plan for the afternoon before we set off. On the way around the island towards the area where turtles are found Spiros started to invite people up to drive the speedboat (ladies first, of course), and then when we got near the turtles he explained what to expect, and when we very quickly found them he was excellent at telling when to expect them to come to the surface. We spotted 5 turtles in a short space of time, with Spiros carefully manoeuvring around so people on both sides of the boat could see, and we didn't leave this area until everybody was satisfied with what they had seen and the pictures they'd taken. From there it was on to Turtle Island, again letting passengers drive, and we pulled right up on to the beach where we spent an hour. When we arrived, Spiros was very clear about us respecting the island and not being allowed very far from the shoreline onto the beach as this is where turtles lay their eggs, which shows that although these trips are how he makes his living, he respects the island and its environment and is very keen to ensure his passengers do also. After Turtle Island, we headed toward the caves and entered in to them, with Spiros even turning the boat around inside one of them which takes some doing! Here he was very clear about the best places to dive down in to the water and see what lies beneath (no spoilers! ), providing flotation devices if required, before then heading to St Nicholas Beach and spending some time here on the way back to Tsilivi. The final leg in the speedboat is very exciting with Spiros keen to show just how fast it goes! All in all, I would thoroughly recommend this trip, regardless of the price, as it is totally worth it for a whole afternoon out with the friendliest captain in Zante! The fairly small size boat, 35 persons, gives a really personal feel to the trip also. Worth every penny. Captain Spiros is real Zakynthian character who cares about the turtles and the marine environment....even if he does have an extremely fast boat! Not for the faint hearted but great fun. We did half day trip to see the turtles in Laganas Bay and Keri caves, which was a full 5 - 6 hours. Couple of swim stops, one turtle island werent rushed but also not to long. Easy to booked in the town (Tsilivi) and you catch the boat from Tsilivi harbour which cuts a road trip. WOW, what an fantastic trip to shipwrecked beach and the caves. Great thanks to captain Spiros and team! 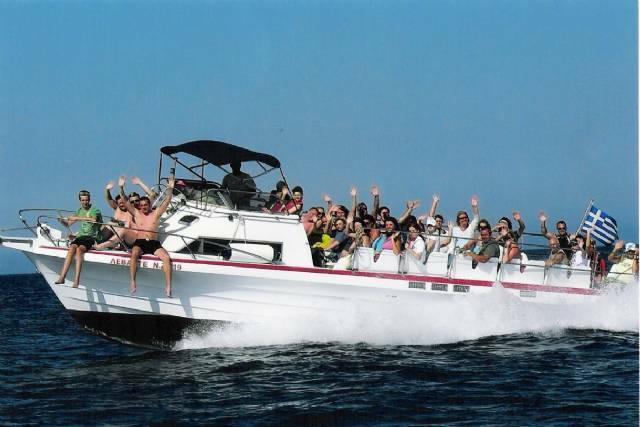 We had a great time on your speedboat, and much fun! 2 x Amazing Trips, if you can afford to do both then do it! You will not de disappointed. Bookings taken at New Office on Tsilivi High Street (Next to Ark Bar), on way to Tsilvi Waterpark. Look out for the yellow parasol, fab new signs and two lovely ladies wearing Levante T Shirts (Addelies and Sue). 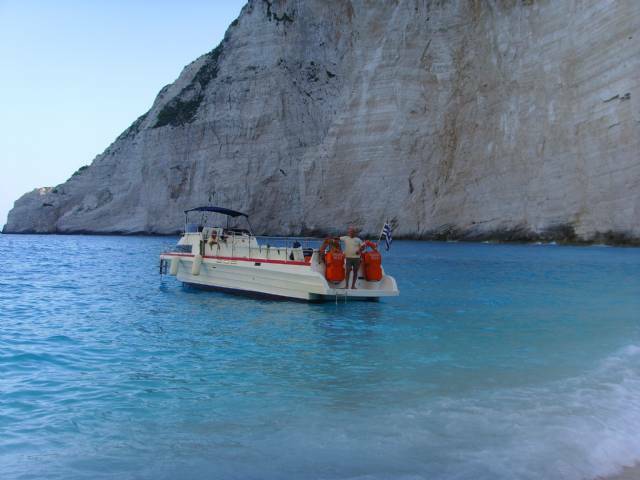 I cannot recommend this trip highly enough, this was our 2nd year at Zante and the first thing we did before unpacking was seek out Sue and book our turtle and shipwreck trips again. Granted the price is slightly higher than some trips on offer, but this is THE REAL DEAL, except no imitations trust me. 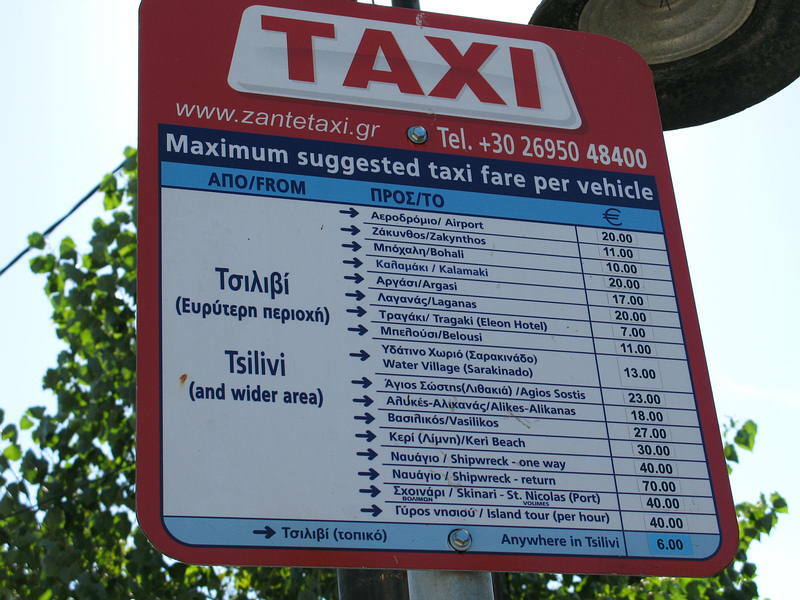 Levante saisl direct from Tsilivi Harbour so there are no buses involoved which is a bonus I do not have enough space on here to tell you all about the two trips but I have put a detailed account on Trip Advisor should you like to know more. Both trips are amazing and if you can afford to do both then go for it. 40 Euros each and it is money well spent. The new booking office is situated on Tsilvi High Street (Next to Ark Bar) on way to Tsilvi Waterpark, look out for the yellow parasol and new signs!! Great trip from the Captain Spiros team - got soaked on the way back which was part of the fun !...Would highly recommend . What a great trip by Captain Spiros & his crew to the turtle island will defo book another trip with him. I would also say well worth the 40euros as he made the trip very enjoyable both for the children on board as well as all the adults. The swim stops also very good onto turtle island & the Keri caves. Was on the afternoon trip Tues 9.7.13 with my wife two 16 year olds and a 12 year old. We greatly enjoyed this trip, fun all the way combined with interesting facts and information especially about the turtles. It was exciting spotting the turtles and the swim stops in the caves and on the beaches were so refreshing and enjoyable. The scenery from the boat was amazing. The children voted this the best trip they had ever been on and voted Captain Spiros the best host as he was very friendly and sociable towards all on board. They said it was not a 'boring' boat trip as they enjoyed the speed too. We would never consider taking a trip on another boat as they seem to carry too many passengers and therefore could not give the 'personal touch' shown to everyone on this trip. We also felt the health and safety aspect of the trip was good because of the experience of the Captain. I would highly recommend this trip and think it was value for money, thank you for the experience. 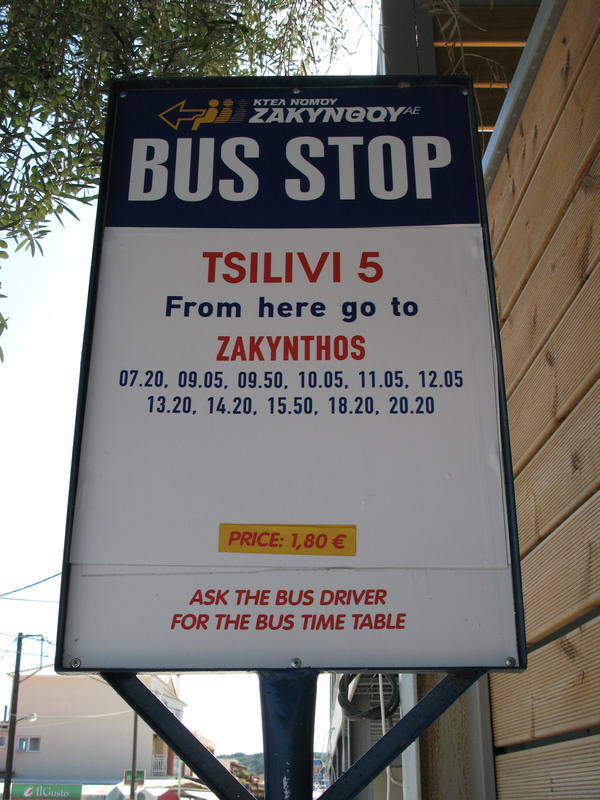 Next time we visit we will also try the morning trip. Just got back from an amazing holiday in Zante!! This was made extra special by going on both the Turtle and Shipwreck beach trips with the lovely Spiros and team! We saw about 7 turtles, swam in the the blue caves (the highlight!! ), sat on turtle island beach which is the most beautiful place I have ever been, sat with Spiros to help drive the very fast speedboat, were first to step on the shipwreck beach to get great photos before everyone else arrived, given very informative information on both trips and got to see some amazing picturesque views which wouldn't have been possible on the larger boats! Fab fab fab!! I went on both the Smugglers Cove and Turtles excursion with Captain Spyros and have to say that the trips really made my holiday. Having been a Travel agent for over 20 years and have been lucky to travel to many destinations and having been on many excursions, both days were the best that I have ever experienced. Spyros is a man of his word and he is the first boat to get to Smugglers Cove, which does make a difference. And you do really see Turtles which is not always as easy as people may think. It is amazing how he can manoeuvre the boat into the tightest of spaces, a man with many years experience at sea. People may think that the cost is pricey and may be tempted to go with another operator, but believe me in that the trips are worth every penny and worth the slight bit extra. For any people that are not keen on boat trips or are unsure of being on the water, I can honestly say you would not be in safer hands. Enjoy everyone : ). 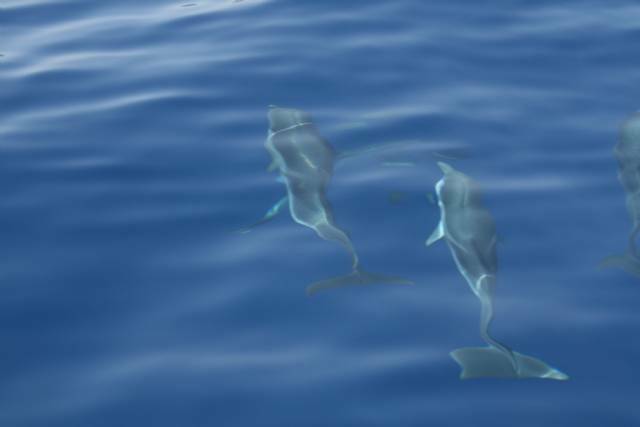 Absolutely brilliant trip not only did we see Turtles but on the return trip Dolphins swam by the boat about 10 had to get video clips they were so fast. Captain Spiros was great letting people steer the boat, the ice cold water was refreshing in the heat. Our daughter steered the boat (shes 17 and loved it) a few suprises instore for anyone not been before! Prices remained the same for this trip for years, which is great best boat trip we have been on! Caves are beautiful and the stop at the Island you can have food, icecream,or drinks. If you want can swim in the sea when Spiros stops the boat. My husband, daughter and her boyfriend all enjoyed this me too and Im not keen on boats!!! Thankyou from The Rock family and Josh, made our holiday very special.